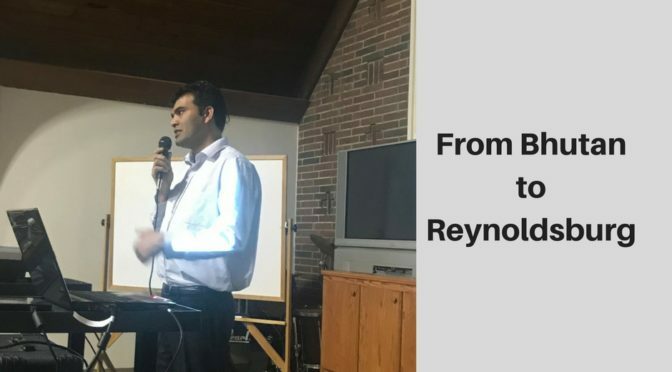 We were honored to have Bhuwan Pyakurel join us for “Messiah Night” to talk to us about the history and experiences of Bhutanese refugees in our community. What can close us off from Jesus’ work and power in our lives? What causes us to reject him? One commentator makes the distinction that the Twelve are sent, not with independent authority, but as an extension of Jesus’ authority. What is important about this distinction? What does it look like to live in that intersection? How do you discern that call? How do we resist God’s deliverance as the people do to Jesus? What drove their resistance? What drives ours? The man is sent to share the good news to the very people who were once afraid of him. Who are we sent to? Who is sent to us? This story not only refers to the liberation and healing of an individual, but the experience of people under imperial dominion. How does this passage continue to reflect Jesus’ dominion? How does this dominion relate to our lives? The subject of the teachings of chapter 4 is how do we have a fruitful faith that survives and grows to harvest rather than one that bears no fruit. What are some of the answers and wisdom provided by all of these teachings? We become the sower in this second part of chapter four. We are responsible for scattering the seed. What are the reasons we are not faithful in the “simple” task of sharing the Word? Where/when have you seen the “Word” that you have sown seem not to take, but you are trusting something is happening in the ground? Luke and Matthew change the mustard bush to a tree. What seems lost in this change from the point that Jesus wanted to make? How has the Church/Christendom lost the point of this teaching?